Beijing and the world’s biggest airport complex. Airports and airlines are fast replacing the bicycle as a symbol of China’s transformation. In the 1980s, China had a single airline Civil Aviation Administration of China (CAAC) operated and branded airline with over 20 types of aircraft. Many airports were little more than a landing strips, with ad hoc ticketing, chaotic boarding and restrictions on who could travel. 20 years later and Beijing has made aviation development one of the central elements of the 12th and current five year plan. This includes the construction of 82 new airports, expansion of 101 existing airports, lifting of restrictions on general aviation and flying training, a move toward forcing the PLA Air Force to open some of its restricted airspace, and support for aircraft development. Of these 82 new airports, one will be Beijing’s second international airport in Daxing. People inside and outside China are used to Beijing’s focus on massive infrastructure projects. Not long ago, this could have been attributed to nationalism and a fierce need to maintain GDP targets to continue development, in 2012 growth of essential industry sectors simply demands it. Upon opening the airport will replace Nanyuan Airport in Beijing’s south, and become the Beijing hub for China Eastern, China Southern and their Skyteam alliance partners. Although carrier groups and alliances will be segmented, the effect on airline operations has been largely avoided in official planning. An expansion of the current Capital International Airport would avoid the need to split operations, providing airlines with better operational flexibility and integrity, avoiding a messy situation that now occurs in Shanghai. most integrated airport into central public transport systems. In addition, with Beijing Capital International Airport already the second busiest airport in the world, and likely to overtake Atlanta in 2012, the project will perhaps eventually give Beijing the title of having the first and second busiest airports in the world. 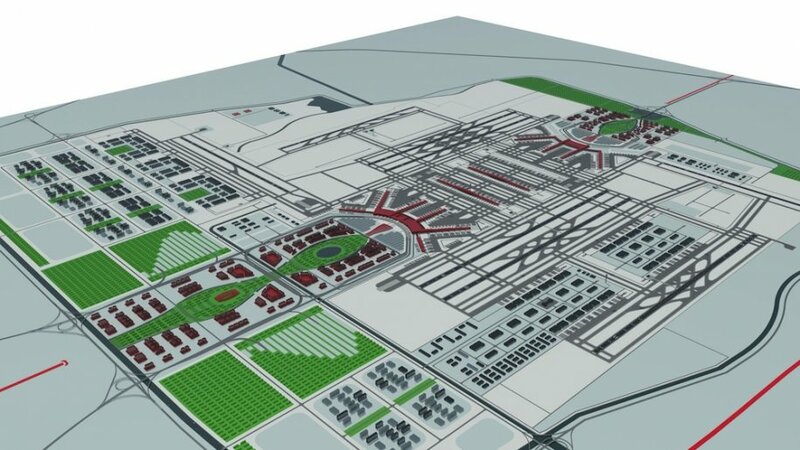 The Beijing Municipal Government has selected a consortium led by NACO Netherlands Airport Consultants as the designers of the city’s second international airport at Daxing. Four years from conceptual design to opening…that’s a big ask. But in China where there are 5-year plan targets to meet, and officials’ next promotions are tied to meeting these regardless of quality, work gets done. Let’s just hope this means the roof tiles won’t fall off again.